All participants will need to pay a registration fee of 1,000 NTD (includes souvenir gift, insurance and chip timing service). Extra deposit of 100 NTD for timing chip will be refunded after completing post-race check-out procedures. All participants must pay a registration fee of 800 NTD (includes souvenir gift, insurance and chip timing service). Extra deposit of 100 NTD for timing chip will be refunded after completing post-race check-out procedures. All participants must pay a registration fee of 800 NTD (includes souvenir gift, insurance). All profits made in this group will be donated to the Liver Disease Prevention & Treatment Research Foundation. The group combined with 10(or more) college students can have the qualification of registration. All participants must pay a registration fee of 800 NTD (includes souvenir gift, insurance). Eligibility: All physically healthy and mentally sound running enthusiasts are welcome to participate. All ages and genders are welcome. Please be sure to provide accurate information. Those who provide inaccurate information or false identities shall not be enrolled for registration. Each participant or identification number can only be registered once. If a selected participant adds another selected participant, the system will automatically cancel the selected qualification of the latter one. ※商品顏色因螢幕設定差異會有不同，以實際商品顏色為準。 ※The color of the product will vary depending on the screen settings, please refer to actual products. Regarding to rules and regulations of PUMA Night Run, runners must finish their respective races in their entirety and back to the main venue, prizes could be redeemed with Runner bibs. PUMA Night Run e-version certificate upon race completion. Runners of 5K Love Run can redeem with voucher at the event venue.. Runners of other groups can pay NT$100 for each. Runners of 5K Campus Run can have team name stamping on souvenir shirts. Runners of 5K Campus Run can also redeem with voucher at the event venue.. Runners of other groups can pay NT$100 for each. Runners of 21K race must finish respective races in their entirety and back to the main venue, prizes could be redeemed with runner bibs. The aforementioned prizes are presented by the event organizer and sponsors. The event organizer reserves the right to modify the prizes and their quantities. Participants will not be notified of any changes made to the prizes. Prize-winners must present their runner bib, which includes their runner number, certificate of placement in the race (card) as well as their personal identification documents in order to receive their prizes; and the award will be presented to another participant. For safety and security purpose, the awards ceremony will be held at 8:00 PM on the day of the race. If prize-winners are unable to attend the ceremony at this time, the event organizer reserves the right to disqualify the winning participants from receiving a prize and the award will be presented to another participant. Participants will be selected by a computerized drawing system in the presence of a notary public and compiled into a main list of selected candidates and a waiting list. You will be notified of the lucky draw result by e-mail, it will also be announced in registration website. Selected participants must sign-up by filling out all the information ONCE. If registration is not completed within the specified time period, the qualification will be cancelled. Selected participants may choose to sign-up one additional participant in the same race group. 12/19(Wed)14:00 If applicable, waiting list candidates will be announced and become eligible to register for the race. 12/19(Wed)14:00~12/21(Fri)14:00 If applicable, waiting list candidates must select their form of payment and complete the payment transaction according to their recorded registration info. Those who purchase the specified series of shoes products within the stimulated time period can have the certification code for registration. All registration should be applied online. After the Serial number registration deadline, no further changes or modifications shall be permitted. 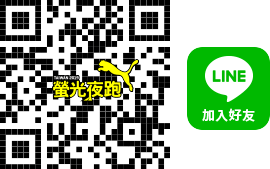 Those who register by PUMA Consumer Registration should use postal mail check-in. The group combined with 10(or more) college students can have the qualification of registration. Each Group should provide the student IDs and filled out for the organizer. All applicants should provide legal student IDs for the organizer to verify, if the imposter and forgery is found, the qualification would ne cancelled with no refund. The applicant with imposter and forgery will take the responsibility of legal charge. Serial number registration participants must sign-up by filling out all the information including student ID of all members at ONCE. If registration is not completed within the specified time period, the qualification will be cancelled. According to the government specification, if the runners apply for refund from the day after payment date to within seven days after the payment transaction deadline, the organizer will charge fee and administrative expense, the refund will be the full amount of the registration fee of 90%. If the runners apply for refunds after the payment deadline and before the material sent, the refund will be the full amount of the registration fee of 60%. If the runners apply for refund after the material sent, the organizer is allowed not to refund the registration fee. (1)	natural or man-made disasters. (3)	military service or click, education call. (5)	Engaged, married or relatives and other relatives of funeral. (6)	Other cases set out by organizer. If those who complete registration and payment of 2019 PUMA Night Run cancel the application by any reason, please fill out the application form and provide related proving documents. Also need to call the organizer Suzico-PLAY Studio (working hour: Mon-Fri, 10:00-18:00) to submit application. The organizer will review in accordance with the relevant refund rules. The refund will be transferred to the remittance account provided by the applicants. Apart from the specified period above, the organizer will no longer accept any refund.